Minimize risks of back injuries caused by manually removing empty pallets from a stack. 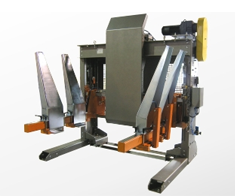 What you need to know before you select a conveyor system. Hytrol Conveyor and Canadian Partner General Conveyor Inc Provided Solution for Product Sterilization Facility.